IT WAS A DECREE SIGNED on 3rd September 1860 by Baron Haussmann that authorised the opening of the Passage des Princes, the last of the passages couverts parisiens to be opened. 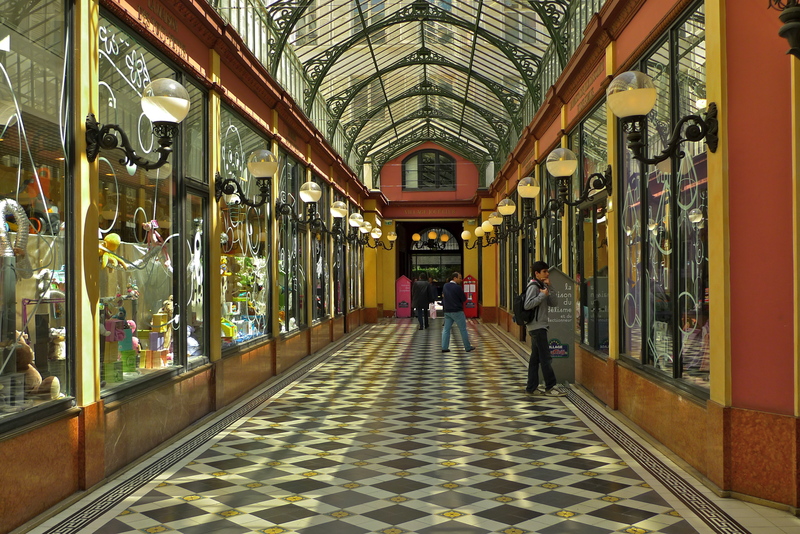 The Passage des Princes sits between the Boulevard des Italiens and the rue de Richelieu in the 2nd arrondissement and it, along with the Passage des Panoramas, the Passage Jouffroy and the Passage Verdeau, form the quartet of passage couverts known as the Passage du Boulevards. The Passage des Princes was originally called the Passage Mirès, named after the banker, Jules Mirés who bought the Grand Hôtel des Princes et de l’Europe at 97 Rue de Richelieu. Mirès demolished the hôtel to make way for the passage and a new pedestrian access connecting the Rue de Richelieu and the Boulevard des Italiens. Unfortunately for Mirès, his bank collapsed shortly after his funding of the new passage couvert was completed. Originally, this passage comprised relatively small ground-floor shops surmounted by a sloping glass roof punctuated by a double span metal arch decorated with arabesques and it looks much the same today. 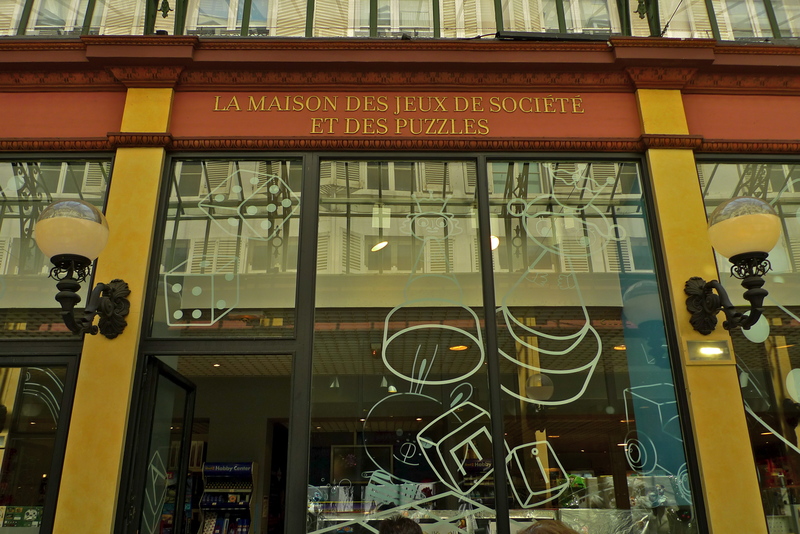 However, what we see today is not the original Passage des Princes. 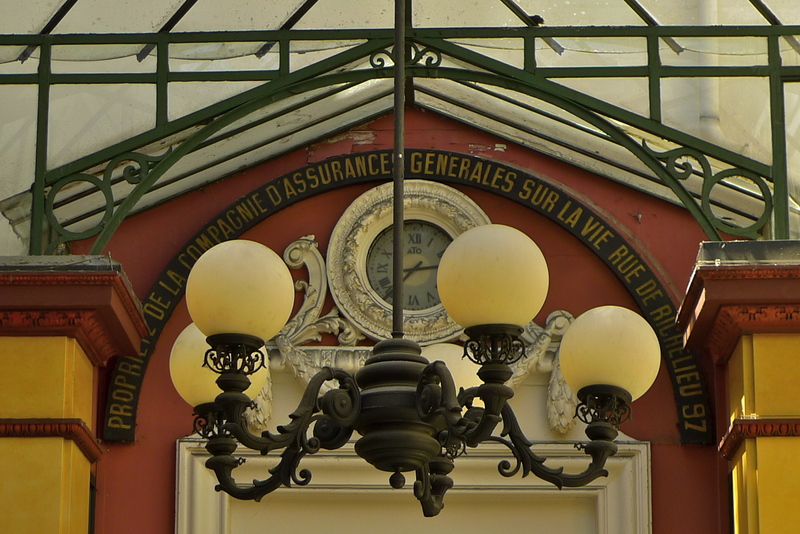 In 1985, the original Passage des Princes was destroyed in the interests of another real-estate scheme. Thankfully, wiser heads prevailed and the passage was subsequently rebuilt faithful to its original form. 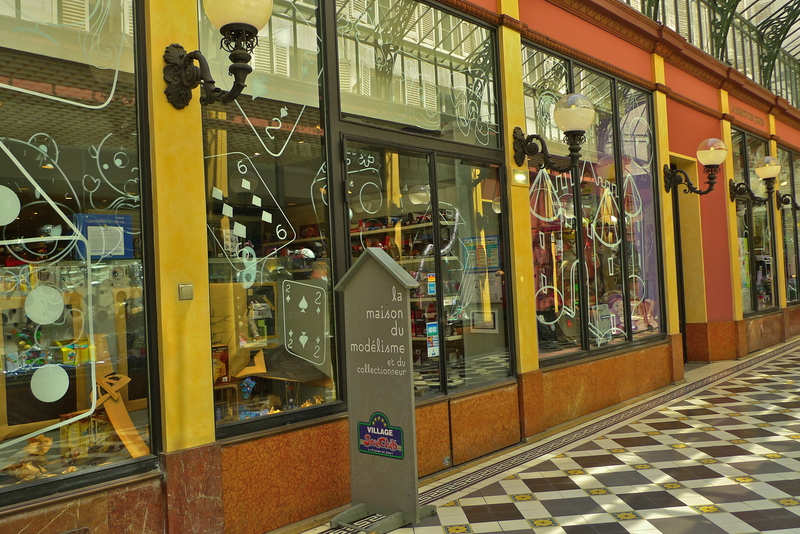 Today, the Passage des Princes is a lively and elegant place where all the shops cater for children. It’s a veritable Kid’s Kingdom.